Produktinformationen "ALE OAW-AP1101-RW OAW-AP1101-RW OmniAccess Stellar AP1101. 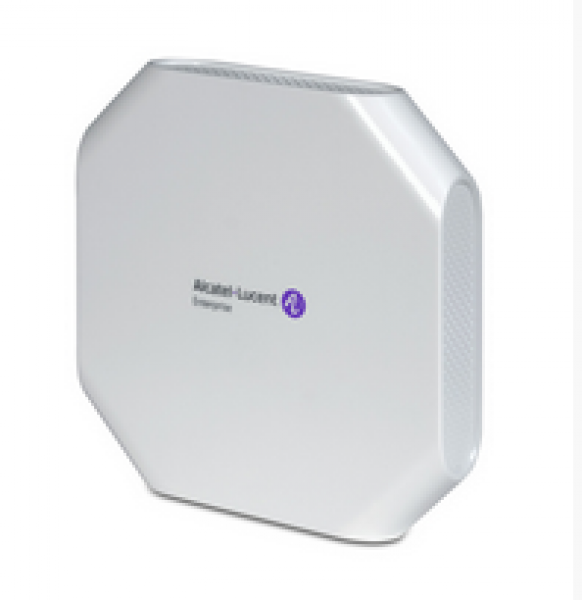 Dual radio 2x2 802.11a/b/g/n/ac AP, integ"
Dual radio 2x2 802.11a/b/g/n/ac wireless access point with support fo r 802.11B/G/N and 802.11A/N/AC operation, dual-band integral antenna, 1 x 10/100/1000Base-T RJ-45) Ethernet Interface Supports 802.3 af Power over Ethernet), 1 x 48V DC power interface, Console port. Unrestricted Regulatory Domain. These products should be consider ed as Rest of World products and MUST NOT be used for deployments in the United States, Japan or Israel.